JCPenney announced their latest designer collaboration with Mango, the popular Barcelona-based retailer. However, unlike previous collaborations like I Heart Ronson and Olsenboye, MNG by Mango will be sold in a shop within the store, similar to JCPenny’s in-store Sephoras. According to WWD, MNG by Mango will launch in 77 JCPenney stores this Wednesday and the department store hopes to have 600 Mango shops opened by February. Pieces in the collection will cost between $10 and $160 and new items will be brought in every two weeks, meaning there will be tons of options to choose from. According to FabSugar, the collection that launches on Wednesday will include lots of menswear-inspired pieces like tuxedo jackets and twill military jackets. What do you think of this collaboration? Will you check it out? 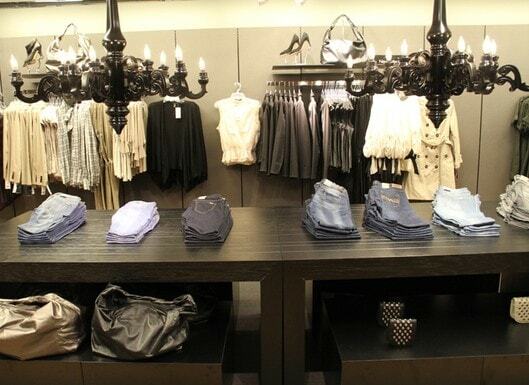 Have you ever shopped at Mango? Leave a comment and let us know your thoughts! Next CF is Looking for Looks on Campus Contributors!